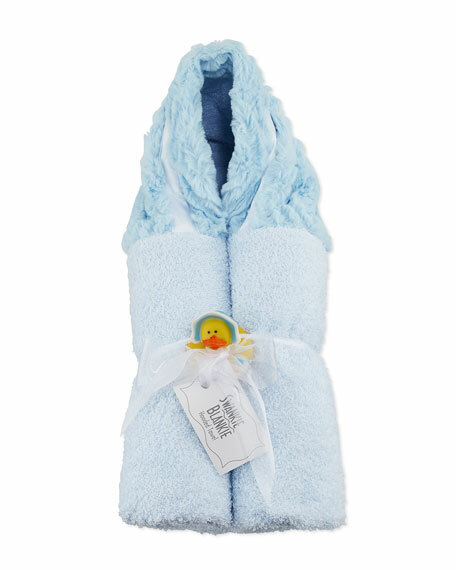 Swankie Blankie "Ziggy" hooded towel. 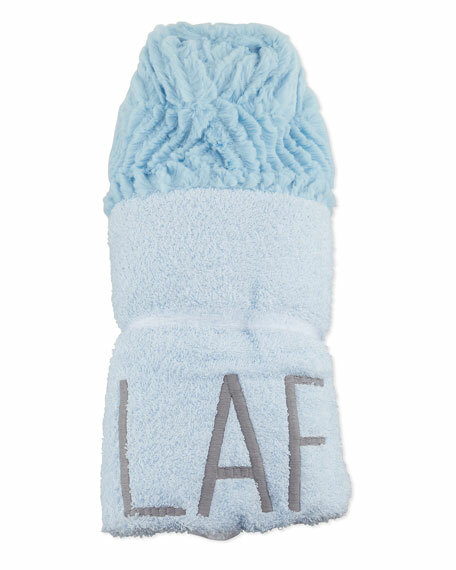 If desired, personalize with embroidered initials (1 or 3) or name (up to 11 letters). Terry-lined plush hood with satin trim. Secured with tonal ribbon at center. 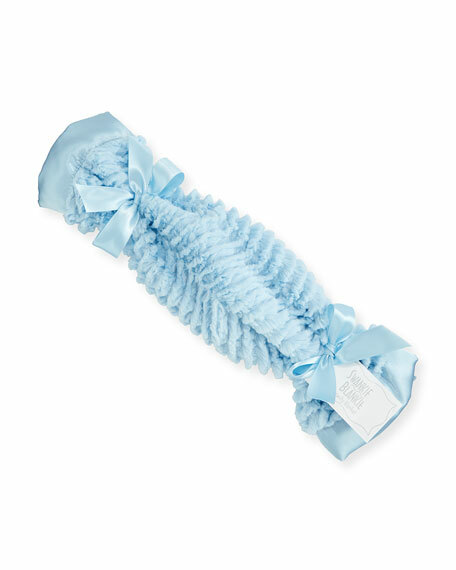 Includes rubber duckie (ribbons and ducks will vary). Please Note: This item is not available in stores. Monogramming takes 2-4 weeks. You will be able to specify personalization details after adding item(s) to your shopping cart. Please order carefully. Orders for personalized items cannot be canceled, and personalized items cannot be returned. 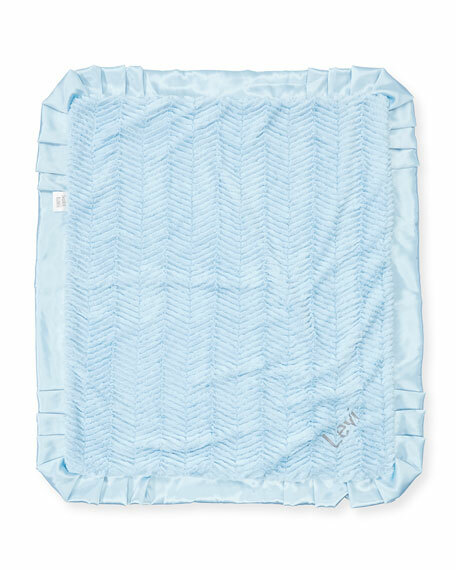 Swankie Blankie offers top-of-the-line luxurious baby blankets, newborn and toddler essentials. All products are made from the highest quality, softest fabric that bring comfort and happiness into the lives of many. You can be certain that you've never felt anything softer! 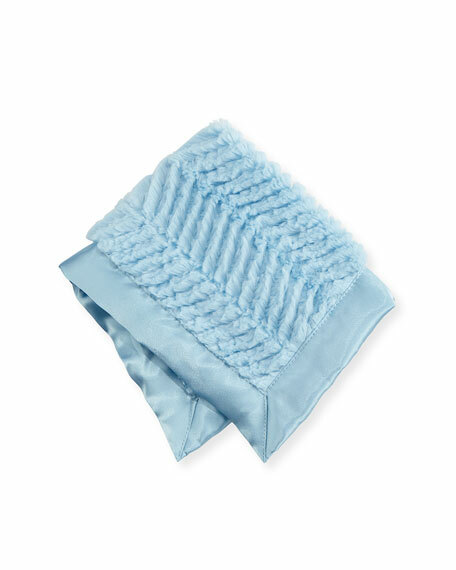 Swankie Blankie products are machine washable and retain their luxurious finish and look for many years. Founded in 2000, Swankie Blankie is the result of a mother's love for her childrenand the child's unconditional love for their blankies. This item requires special assistance, to order call 1.888.774.2424 . Swankie Blankie "Ziggy" plush security blanket. Swankie Blankie "Ziggy" plush receiving blanket. Contrast back with medallion pattern. Swankie Blankie "Ziggy" two-piece burp cloth set. 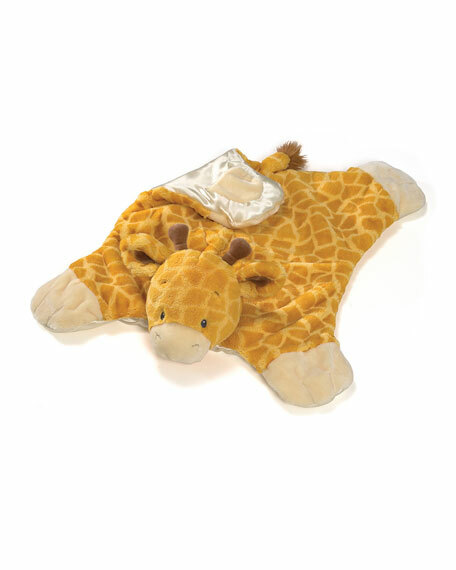 Gund "Tucker Giraffe" comfy cozy blanket with silky, huggable fabric and matching satin underside. Approx. 21"L x 24"H x 5.5"W. Embroidered eye and nose detail. Appropriate for all ages. Polyester. Machine wash. Imported. 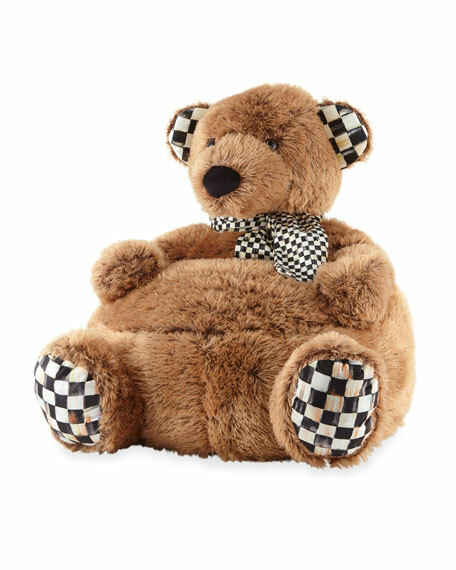 MacKenzie-Childs "Mack" stuffed bear chair. Courtly Check trim at ears, feet, and scarf. Pieces may vary due to the handmade nature of each product. Self and fill: polyester. Imported. 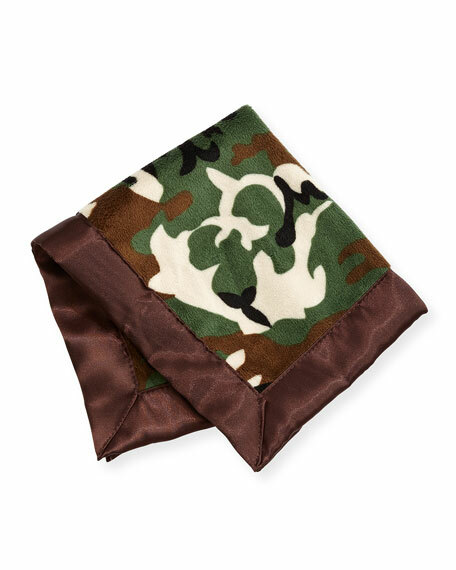 Satin security blanket with camouflage contrast by Swankie Blankie. Banded trim. Approx. 13 1/2" x 16". Polyester. Made in USA. Ivory plush with satin facing. 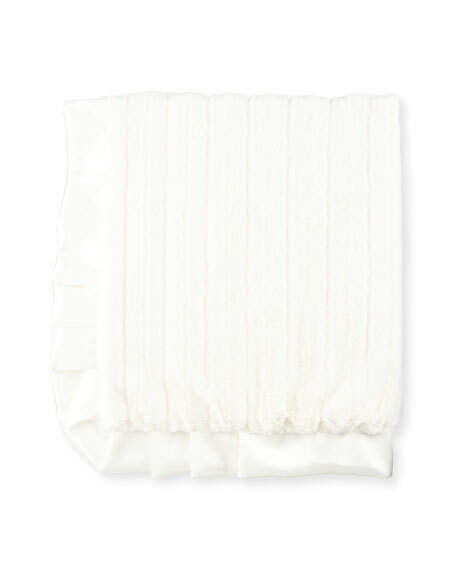 Ruffle trim detail. 27"H x 32"W. Polyester. Made in USA.